Each month during Universität Hamburg’s 100th anniversary celebrations, the Equal Opportunity Unit will publish a short biography of one of the women who paved the way for other women in research, teaching, and studies at Universität Hamburg. Asta Hampe represents a generation of women who lived from the turn of one century to the next, making their own path in life in defiance of contemporary societal expectations. In this, Universität Hamburg played a significant role. Asta Hampe was born on 24 May 1907 in Helmstedt, Lower Saxony, and developed an interest in technology at a young age. Her father and uncle used to take her to their family-run wool spinning mill and silk factory, staffed mainly by women, when she was a mere toddler. The early twentieth century witnessed several significant technical inventions, including broadcasting technology and the first airship ever to cross the Atlantic Ocean. Asta Hampe was still a schoolgirl when she built her own radio. She completed a degree in engineering at the Munich University of Applied Sciences with support from her uncle and grandfather, who paid for her studies. After she graduated, her career took her to every corner of the country. She also traveled to London, Sheffield and Exeter in 1929 and 1935 to study English. In 1974, after her retirement, Asta returned to her home town of Hamburg, where she lived until her death on 22 October 2003 at the age of 93. Around 500 men and 5 women were enrolled at the Munich University of Applied Sciences in the 1927/28 Winter Semester. The admission of these women did not go without comment—during their first weeks, the young men would stomp their feet noisily to ‘greet’ their female fellow students whenever they entered the lecture hall. Asta transferred to the Technical University of Berlin after her preliminary examination to study telecommunications. By then, conditions for female students had begun to improve. Nonetheless, she was one of only 3 women among 200–300 male students. During her studies, she established contact with the German female academics’ society, the DAB, which ran a women’s dormitory in Berlin. Asta went on to work at the Krupp research institute for a year after graduating and later transferred to Barmbek Hospital in Hamburg, where she took up a position as a resident physicist. National Socialism was on the rise, making it increasingly difficult for female academics to keep working. Asta Hampe was dismissed in 1933 after only 6 months in her job: physics was no longer considered an appropriate career for a woman. For the following 18 months, she worked as a draft engineer for an export firm. She then took up a position as the head of a testing laboratory at Philipps-Valvo. Asta was not satisfied with her new job and wanted to leave, but she knew perfectly well that she could not simply quit a company that was considered instrumental to the wartime effort unless she had another position waiting for her. In 1939, she applied for a post as a navy physicist. She was accepted and left Philipps-Valvo in favor of her new contract with the communications research headquarters of the German navy. Women were not allowed to work on the ships, so Asta had to stay in the laboratory while the men on the decks tested her work. 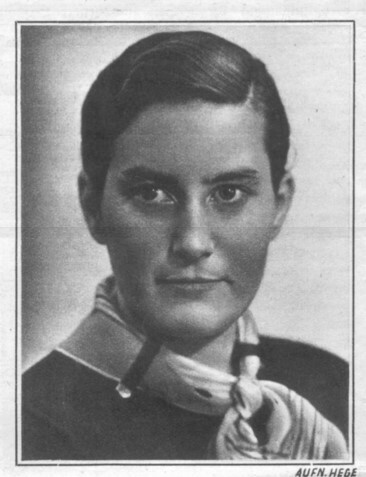 Asta Hampe joined the Nazi Party in 1939, probably as a result of her work for the German navy. Asta Hampe returned to Hamburg for personal reasons in 1942 and embarked on a degree in economics at Universität Hamburg. Five years later, in 1947, she completed her doctoral dissertation on the impact of wartime destruction on urban land credit. She became an adjunct lecturer in statistics at Universität Hamburg and the assistant of Professor Albert von Mühlenfels in 1951. Following her habilitation (postdoctoral qualification) in 1957, Asta Hampe was awarded an extraordinary professorship. Six year later, she was appointed to the newly founded Chair for Business Mathematics at the University of Marburg, where she seized the opportunity to establish the new discipline from the ground up and shape the careers of an entire generation of economists. Between 1968 and 1969, she was the dean of the Faculty of Law and Public Administration of the University of Marburg. Throughout her life, Asta Hampe campaigned for gender equality in academia. She founded the German association of female engineers (Gemeinschaft Deutscher Ingenieurinnen) when she was a student in Berlin; in 1931, her association became a member of the German female academics’ society (Deutscher Akademikerinnenbund, DAB). She was also one of the founding members of the Hamburg branch of the DAB, established in 1947. Within the DAB, she managed the committee for higher education from 1958 and 1963 and, again, from 1976 until 1981. Asta attended DAB events well into her senior years. In 1990, she initiated and co-founded the German association of women university teachers. It was one of the final achievements of her long and productive life. Asta Hampe was a member of numerous academic associations and a permanent member of the advisory committee of the German Federal Ministry of Construction until its closure. Maul, Bärbel, 2002: Akademikerinnen in der Nachkriegszeit.Ein Vergleich zwischen der Bundesrepublik Deutschland und der DDR. Frankfurt 2002, p. 422. Von der Lippe, Peter, 1977: “Asta Hampe 70 Jahre.” in: Allgemeines Statistisches Archiv 61, 1977, p. 211 f.
Magdalene Schoch was not only the first female legal scholar at Universität Hamburg to earn a Habilitation, the postdoctoral qualification that confers the right to lecture (venia legendi) in a particular subject at a German university: she was the first woman to do so in all of Germany. Magdalene Schoch, born on 15 February 1897 in Würzburg, began her studies at the university there in 1916. She was one of the first women in Germany to study law. Schoch was also interested in literature, philosophy, and art history. Social and political issues were very important to her, and she was involved in student government. After 4 years of study, Magdalene Schoch was awarded a doctorate. She then followed her mentor, Albrecht Mendelssohn Bartholdy, to Universität Hamburg. Schoch quickly settled into life in the Hanseatic city, and was a highly influential figure in the University's development. Magdalene Schoch spent the second half of her life in the USA, where she emigrated in 1937 as a result of Nazi persecution in Germany. There she was able to use her knowledge to begin a new career. Upon her death in the USA on 6 November 1987, she was a remarkable woman who, throughout her life, had proven herself in a man’s world, and thus become a role model for women working in the law. In the 1920s Magdalene Schoch was instrumental in internationalizing Universität Hamburg's faculty of law and public administration and promoting international goodwill at the University and in the city of Hamburg. She worked not only as an assistant to Albrecht Mendelssohn Bartholdy, but also at the Institute for Foreign Policy, founded by Bartholdy in 1923. At that time, the Institute was one of the first in the world to study the conditions of peace, and was highly influential in the development of political science in Germany. Magdalene Schoch was named director of the Institute's law department in 1932. Due to the efforts of Magdalene Schoch and Albrecht Mendelssohn Bartholdy, Universität Hamburg was the first German university to teach English and US American law. Magdalene Schoch was one of the founding members of the Society of Friends of the United States—along with Albrecht Mendelssohn Bartholdy, Kurt Sieveking, Erich M. Warburg, and Otto Laeisz—and served on its board. She edited the Society’s bilingual publication, the Hamburg-Amerika-Post, subtitled “A Messenger of good will between the United States and Germany.” In 1930 she was also appointed head of the new America Library housed in the University's new law building. In November 1932 she submitted her Habilitation thesis on international private and procedural law, comparative law, and civil procedure, thus becoming the first woman in Germany to earn the postdoctoral qualification conferring the right to lecture at a German university in the discipline of law. When her academic career was abruptly ended by the Nazi regime, she emigrated to the USA, where she started her career. After a period of working in a poorly paid position as a research assistant at the Harvard Law School, she was hired as an expert for German law by the Office of Economic Welfare, and later worked for the Foreign Economic Administration. She then worked for the US Department of Justice as an expert for international and foreign law, eventually becoming head of the division. Until her death she remained active as a consultant and attorney. In addition to her academic and professional activities, Magdalene Schoch was also committed to social issues. Her mother had been an early champion of women’s rights, and Magdalena followed in her footsteps. During her time at university, she had many friends who were Jewish or members of the German Social Democratic Party and she participated in numerous demonstrations. Later on she was one of the initiators of the Hamburg women’s front against National Socialism, and became the first president of the first German branch of the Zonta Club (an international organization dedicated to networking working women across nations), founded 1931 in Hamburg. Magdalene Schoch’s life was upended when the Nazis came to power. After usurping power in 1933, the Nazi regime rolled out its system of totalitarian control over all facets of German society (known in Nazi terminology as “Gleichschaltung”), including the universities. After Albrecht Mendelssohn Bartholdy was dismissed from the Universität Hamburg in 1934 because of his Jewish heritage, Schoch’s standing in the law faculty became increasingly fraught. One after another, the projects she had worked on were destroyed by the Nazis: the Institute for Foreign Policy became an instrument of propaganda, the Hamburg-Amerika-Post was shut down, the Society for Friends of the United States was dissolved, and the Zonta Club was forced to disband, leaving its members no choice but to meet in secret. When all employees at Universität Hamburg were ordered to join the Nazi Party, Magdalene Schoch refused. She resigned in the summer of 1937 and emigrated to the USA in October. In 1946, as president of the Zonta Club in Arlington, Virgina, she organized an extensive program for collecting and sending care packages to Hamburg. Magdalene Schoch was a long-forgotten figure in the Faculty of Law at Universität Hamburg. She was “rediscovered” when the University began an in-depth examination of its own activities during the Nazi era. In 2012 a ceremony was held in her honor, and a lecture hall in the University’s Main Building was named after her. Since then, each year the Equal Opportunity Unit in the Faculty of Law offers a mentoring program for female early career researchers named in her honor, and it awards the Magdalene Schoch Prize. Kopitzsch, Franklin and Brietzke, Dirk, “Magdalene Schoch” in: Kopitzsch, Franklin and Brietzke, Dirk, (eds. ), Hamburgische Biografie.Personenlexikon. Göttingen 2008, Vol. 4, pp. 309–10. Lembke, Ulrike and Valentiner, Dana-Sophia, “Magdalene Schoch – die erste habilitierte Juristin in Deutschland,” in: Hamburger Rechtsnotizen, 2012, pp. 93–100. Nicolaysen, Rainer, “Für Recht und Gerechtigkeit.Über das couragierte Leben der Juristin Magdalene Schoch (1897-1987),” in: Zeitschrift des Vereins für Hamburgische Geschichte 92, 2006, pp. 113–43. 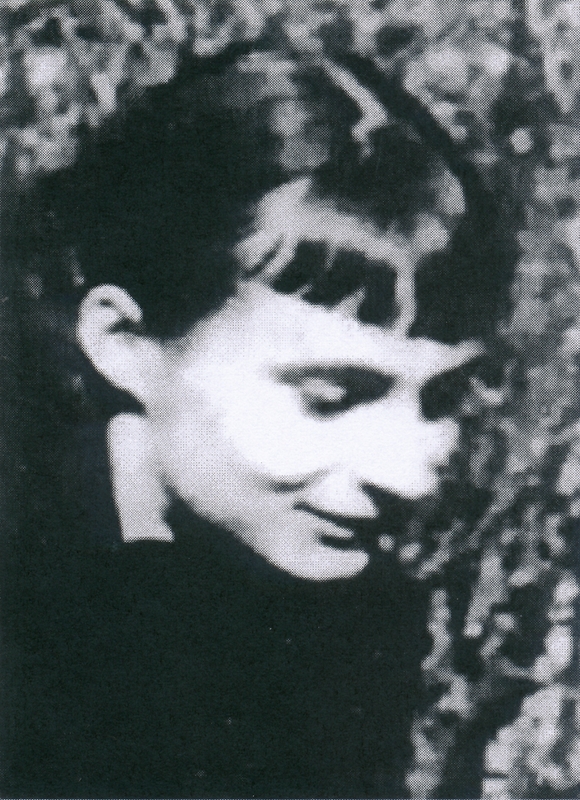 Margaretha Rothe studied medicine at Universität Hamburg and was a member of the Hamburg branch of the White Rose resistance group during the Nazi regime. Born in 1919, Margaretha Rothe attended secondary school in Hamburg before commencing a degree in medicine at Universität Hamburg in 1939. Alongside her studies, Rothe and her friend and fellow medical student Traute Lafrenz took part in a reading circle established by the resistance fighter Erna Stahl. Rothe got to know fellow students and physicians critical of the Nazi regime with whom she formed discussion groups to debate cultural and political issues. The Hamburg oppositional group was infiltrated by a Gestapo spy and in 1943, more than 30 people were arrested, among them Margaretha Rothe. She was accused of intent to commit high treason, aiding the enemy, undermining the military, listening to foreign radio broadcasts, and intent to commit a crime using explosives. She was held in prisons in Hamburg, Cottbus, and Leipzig. 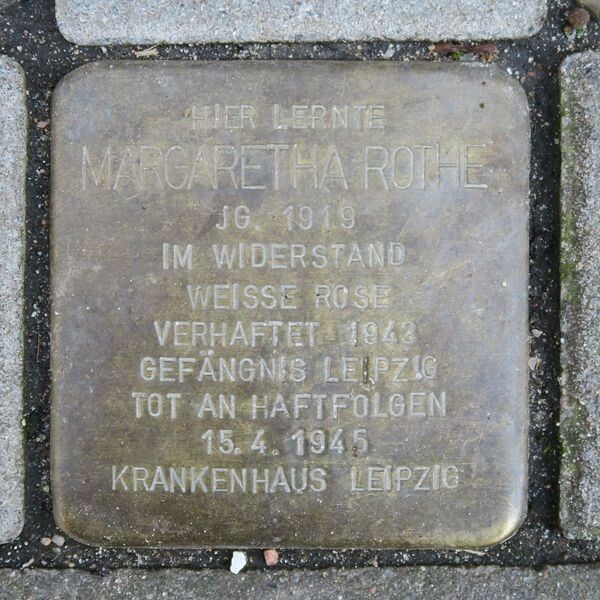 Margaretha Rothe died in Leipzig on 15 April 1945, aged 26, as a result of the catastrophic conditions in the prisons where she was held. She was buried at the Leipzig Südfriedhof, but her remains were reinterred at the Ohlsdorf Cemetery in Hamburg after the war. Margaretha Rothe was both politically and socially active. To take a stand against the suppression of freedom of expression under the Nazis, she distributed leaflets, which she printed using a children’s printing kit, detailing the airing times and frequencies of foreign radio stations. The leaflets also criticized the Nazi regime and the war. In 1941 Margaretha Rothe joined the group centered around Hans Leipelt and Reinhold Meyer, which later became known as the “Hamburg White Rose.” At secret meetings the students discussed banned literature, current political issues, and the military. Through their network of friends and acquaintances, the group was in contact with Hans and Sophie Scholl in Munich; and the now famous leaflets of the White Rose made their way to Hamburg. Margaretha Rothe was an open-minded young woman and an ambitious student, whose actions during her studies at Universität Hamburg proved her humanity and courage. She appealed to her fellow citizens’ sense of responsibility, and stood up for civic engagement and an open society. Margaretha Rothe’s name is still to be found all over the city of Hamburg. A street in a northern suburb of Hamburg, Margaretha-Rothe-Weg, was named after her in 1982, as was a building on the grounds of the University Medical Center, the Geussenhainer-Rothe-Haus (1987) and a high school in Hamburg, the Margaretha-Rothe-Gymnasium (1988). 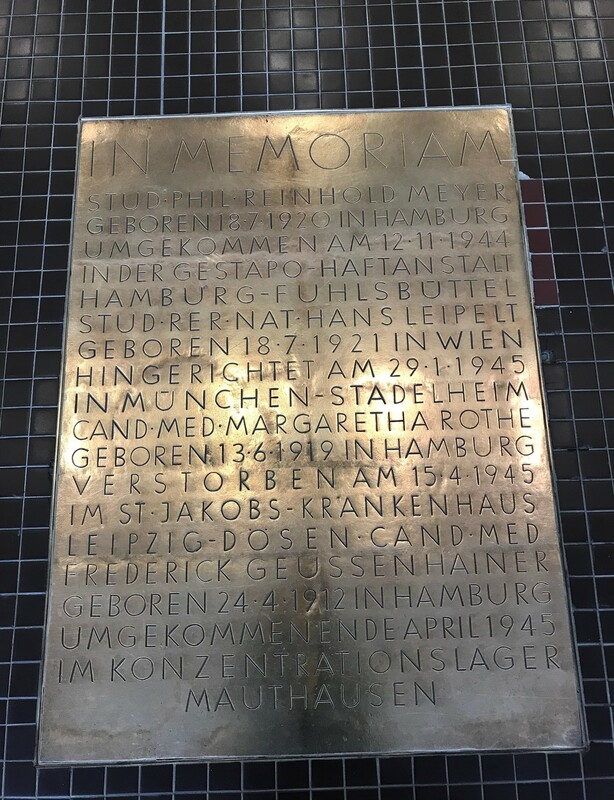 In 1984, a memorial plaque with the names of the Hamburg activists was placed on the former bookshop in the city center at Jungfernstieg (the Agentur des Rauhen Hauses) where they met in the cellar to discuss and plan their activities. A memorial stone was placed in her honor in the Garden of Women at the Ohlsdorf Cemetery. In addition, a total of four Stolpersteine (small brass “stumbling blocks” the size small paving stones—10 by 10 centimeters—in which are inscribed the name and life dates of victims of Nazi persecution and extermination) throughout Hamburg memorialize her contribution. The former Cottbus Prison, where Margarethe Rothe was imprisoned, was transformed into a memorial site in 2013. It displays original documents such as letters and textbooks. The memorial “Table with 12 Chairs” stands in the Hamburg suburb of Niendorf. It represents the 12 Hamburg resistance fighters murdered by the Nazi regime. Universität Hamburg also offers a memorial to Margaretha Rothe. In 1971 a floor plaque was installed in the University's main auditorium to honor Rothe and her fellow student activists of the resistance. A student dormitory in the inner-city suburb of Winterhude also bears her name. On 1 December 2016 the then Paul-Sudek-Haus was ceremoniously renamed the Margaretha-Rothe-Haus. The renaming was initiated by residents, who sought to make a statement about democracy and diversity. Groschek, Iris: “Rothe, Margaretha,” in: Hamburgische Biografie Vol. 4 (Hamburg, 2008) pp. 294f. Schneider, Nina: Hamburger Studenten und Die Weiße Rose: Widerstehen im Nationalsozialismus. Begleitheft zur Ausstellung der Staats- und Universitätsbibliothek Hamburg Carl von Ossietzky. (Hamburg, 2003). Staudacher, Ingeborg / Staudacher, Gunther (eds. ): Margaretha Rothe, eine Hamburger Studentin und Widerstandskämpferin. (Balingen, 2010). Staudacher, Ingeborg: Margaretha Rothe: Opposition im Dritten Reich. (Balingen, 2003).